Four reasons why the iPad isn’t worth the money. My wife wanted an iPad as soon as she saw Steve Jobs’s announcement last January. She even had a place set out for it. It would go in the kitchen where it would be available for looking up recipes, as well as reading the morning newspaper. But life is disappointment: The iPad wouldn’t come out for another four months, and when it did, it cost about $300 more than we could afford. Luckily, one surfaced around The New Republic offices, and I got a chance to play with it for several weeks. And so did my wife. She still wants one, badly—but I am less impressed. Here are four reasons—ranging from the immediately practical to the philosophical—why I would not buy one now. 1) Bugs and Money. New products are notoriously buggy, and the iPad is no exception. I discovered a large cockroach after playing with the machine for a day. It would suddenly disconnect from the wireless system in my house, then refuse to join the network even though I was standing three feet away from the router, and even though the three laptops in our house work fine with the wireless from any location. And then, unaccountably, everything would be forgiven and it would rejoin the network. I thought the magazine had purchased a defective machine, but when I looked on the web for guidance, I discovered that the problem was widespread among initial iPad users. Of course, the magazine could have purchased the fancier iPad (for $800 instead of $500) that hooks up with AT&T’s wireless network, but that would have cost roughly the same amount as a new Mac. We’re talking at that point about a luxury purchase. My conclusion: wait for Apple to fix this and other presumed bugs in the $500 model. And maybe even wait for that price to go down to around $300. 2) A Glaring Defect. My wife’s idea was to use the iPad for very casual reading, or for glances at the Epicurious site while basting a squab. My idea was to read blogs, newspapers, magazine pieces, and books on it, as well as check my email and Cubs’ scores. And that brings me to the next problem with the iPad: the glare from the screen. When I look at an ordinary computer screen and try to read something on it for longer ten or 15 minutes, the images begin to blur, and even go double. I have trifocals designed for reading computers. With the iPad’s screen, the problem is worse because it seems even more inclined than your average LCD screen to pick up glare. And glare, as any eye doctor or specialist on office ergonomics will tell you, is a factor in eyestrain, particularly in people over 40. What’s interesting is that I don’t have this problem with my Kindle, which I have used for two years, and which uses a special technology designed to produce an image similar to that of print on a book page. A reviewer from a computer magazine got some readers to try out the Kindle and the iPad and found the same results: the Kindle was much easier on the eyes. I don’t think it’s just the lack of glare. It’s also the strong black and white figure-ground presentation, which is even more pronounced, I suspect, on the first Kindle, which I own, than on the Kindle II, which tried for rudimentary graphics by including more shades of gray. Again—at first glance, the iPad’s presentation of text is wildly superior to that of the Kindle display. It’s in color, the magazines and newspapers are beautiful to look at on the screen, and the more powerful processor makes pages pop up instantly. Apple has also devised an ingenious way to turn the pages of e-books that makes it very much like turning the page of an actual book. And as you are reading a book, you know what page you are on, and how far you are from the end of a chapter—something you don’t know when you are reading a book on a Kindle. But after the beauty and novelty of the presentation wears off, what you are left with is a screen that—at least for people over 40—is more difficult to read than the Kindle’s. That’s a big deal, and is enough to discourage someone like me who likes to read long articles and books from getting one. 3) The Missing Titles. I originally got a Kindle because I thought that when I travelled, I wouldn’t have to bring along five or ten books that I was using to write an article. I was disappointed to discover that Kindle’s selection was pretty much confined to the current and the famous. You couldn’t get, for instance, John Maynard Keynes’s Essays in Persuasion or Avi Shlaim’s The Iron Wall on a Kindle. But there is no comparison between Amazon’s selection and what Apple is currently offering iPad readers—Amazon wins in a landslide. Apple’s tastes run almost exclusively to best-sellers, and even among them there are some odd omissions like Michael Lewis’s The Big Short. There are no listings, for instance, for Ludwig Wittgenstein, Martin Heidegger, Wallace Stevens, Irving Kristol, Reinhold Niebuhr, and Walter Lippmann. By contrast, the Kindle offers 49 listings for Heidegger, including Being and Time; 80 listings for Wittgenstein, including several versions of the Tractatus Logico-Philosophicus; one book by Irving Kristol and an anthology that includes his writings; three books about Wallace Stevens; one collection of Niebuhr’s writing and a work about him; and 19 books for Walter Lippmann, including six books by him. You can reasonably ask, “Who cares about Heidegger?” I am admittedly relying on my own tastes here. But I think you’ll find the same results if you look for books on the history of art or of scientific invention or literary criticism. Apple may remedy these deficiencies, but I have a feeling they may not and that Apple is employing a different marketing strategy from Amazon—one that doesn’t cater to people who read things for reasons other than diversion. 4) Packaged Consumption. Twenty years ago, I was enamored of the culture of the tech industry, with its emphasis on the open source design of software and on the interaction between the people who made the machines and the people who used them. It was, I fantasized, the beginning of a new cyber-polis that would democratize and elevate the distribution of knowledge. And computers and the Internet have served this role to some extent. But I still recall my disillusionment when I visited Apple in 1991 to do a story on John Sculley, who was then the company’s CEO. What I found was an emphasis on computer users as consumers who would buy products they saw on the screen. Of course, from a commercial standpoint, Apple was pursuing what turned out to be a successful strategy. But it’s still one that grates on me. The iPad is the latest iteration of that strategy. 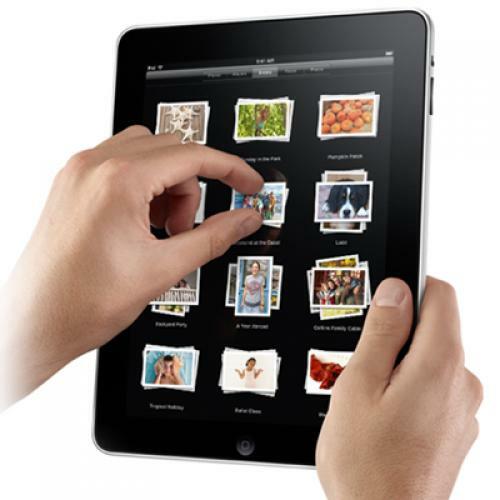 You can use the iPad to communicate with other people, but to do so, you have to use the machine’s cumbersome touchpad. That’s OK for exchanging gossip or oohs and ahhs on Twitter, but not for any kind of mutual reflection. You can’t really touch-type on these screens. When I did hunt and peck, I made more mistakes than I make with my thumbs on a Blackberry. Clearly, the main function of the iPad is to receive rather than to send or exchange information. And the information one receives is carefully packaged in pricey “apps” that are custom-designed for the machine. In a brilliant article in Ars Technica, Sarah Rodman Eps describes the iPad as “curated computing”—as in museum curating. But if the experience of the iPad resembles anything, it’s not using a desktop computer or laptop, or going to a museum, but surveying the on-demand choices on a cable television network. It is purely passive consumption. This is, I admit, a pretty high-brow response to a wonderful new gadget that looks like one of those magical slabs that a visitor from outer space might have left behind. I love gadgets, and if someone handed me an iPad to keep, I would be delighted, even if it repeatedly told me, “The connection to server failed” or “Unable to join the network.” But if I had to spend $500 or more myself, I would hold off—and not just until after the bugs were exterminated. Between my desktop, notebook, smartphone, and Kindle, I don’t know whether I need still another gateway to the land of bits and bytes. And this is, I am afraid, not what Steve Jobs and my wife want to hear. John B. Judis is a senior editor of TheNew Republic and a visiting scholar at the Carnegie Endowment for International Peace.